If your operation serves mixed drinks and prides itself on service, then the Hamilton Beach Rio bar blender is for you! Designed to blend a variety of drinks, it features a 32 oz. stainless steel jar perfect for high-volume output. The blender features Hamilton Beach's patented Wave-Action technology, which provides fast and perfect blending of every ingredient. Designed to process 25 to 49 drinks per day, the Rio bar blender increases productivity by blending a 16 oz. drink within 20 seconds! Bartenders will love using the 2 speed settings with pulse option, which allows for greater control over the drink's consistency. You can even add ingredients during operation, thanks to the removable filler cap. For safety, non-skid feet secure the base so the unit doesn’t move while blending. Plus for easy cleaning, the bowl and blade are both easily detached. If you serve mixed drinks, you need a reliable and consistent blender, and the Hamilton Beach Rio Bar blender is just that. In the food service industry, time is of the essence. Thankfully, with the Hamilton Beach Rio bar blender, you can perfectly blend 16 oz. drinks in just 20 seconds! 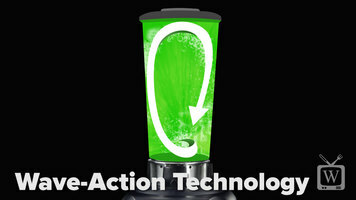 Learn about the blender's other features and benefits by checking out this video. Learn the ins and outs of the Hamilton Beach Rio commercial bar blender! Making sure your glasses are beer clean, rather than just "clean," is one of the easiest things you can do at your establishment. If your glasses aren't beer clean, detergent residues and oils might still be sticking to your glasses, which creates an adverse-tasting brew. 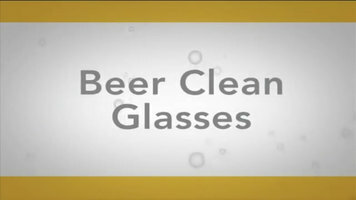 Watch this video to learn how to properly clean the glasses you serve beer in. Count and weigh small parts with this Cardinal counting scale! 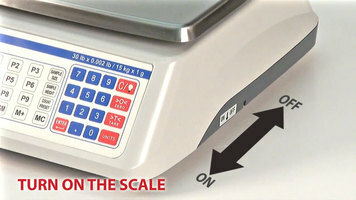 Boasting innovative features that enable you to count items quickly and accurately, this scale will ensure fast, efficient service at your inventory or packaging facility.